bizzybee’s stylish and colourful cleaning products are designed to help people spend less time on chores and more time on the things that really matter. Everyone cleans differently so bizzybee has managed to come up with a wonderful idea and has made gloves and cloths for every pair of hardworking hands, even those with sensitive skin. bizzybee satin touch glovesbizzybee satin touch gloves are made without regular flock lining, a common irritant for sensitive skin. The snug fit makes them comfy as well as kind on your skin. bizzybee’s eye-catching non-scratch scourers are gentle but effective on all surfaces - even delicate items like stainless steel non-stick pans and ceramics. They’re also machine washable and antibacterial. 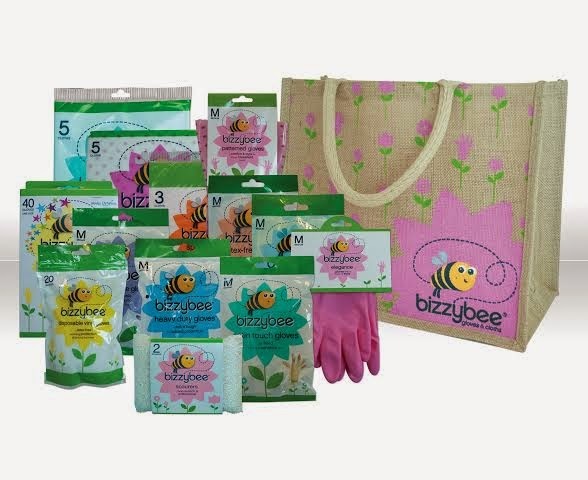 bizzybee latex-free gloves are made from a soft vinyl which contains no natural rubber latex or chemical accelerators. Hardworking hands will also love the soft cotton lining. bizzybee sponge cloths are strong and absorbent. Plus they’re machine washable. Other products in the range include bizzybee outdoor gloves, elegance gloves, scouring gloves, multipurpose cloths and disposable vinyl gloves. All products are available from a selection of supermarkets as well as Amazon. 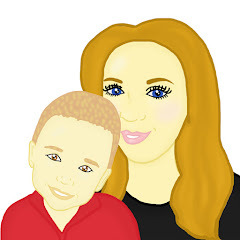 bizzybee have given Mummy To The Max readers the amazing chance to win a wonderful goody bag of bizzybee products. The goody bags are full of bizzybee products and I have 2 goody bags to give away to 2 lucky winners. To enter all you simply need to do is enter the rafflecopter below! Good Luck!